Armstrong has Added Two New Colors! Amber and Mahogany. 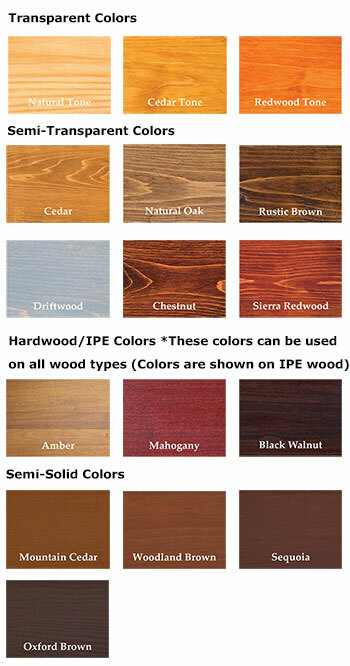 Mahogany is the go-to choice for Exotic Hardwoods such as IPE. 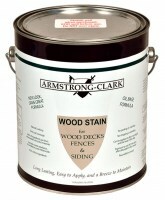 Armstrong's deck and siding wood stain has nondrying conditioning oils that separate from the drying side of the formula. These oils penetrate deep into the deck or siding wood fiber where the wood's natural oils used to be. This process rejuvenates the wood. The drying oils stay at the surface, lock in the conditioning oils and create a dry to the touch barrier. 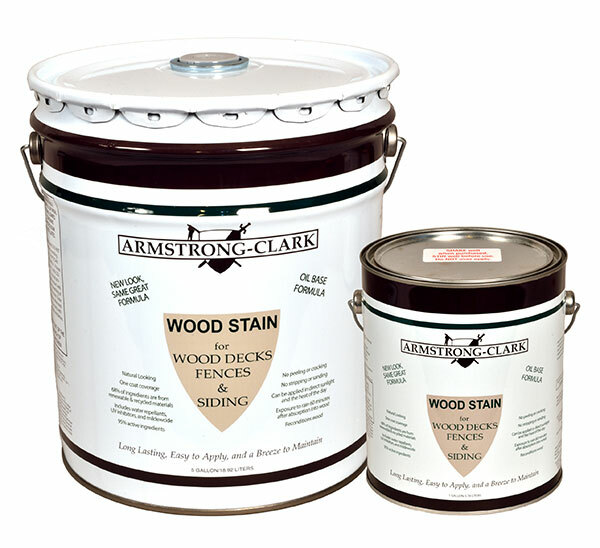 Armstrong's deck and siding wood stain formulas also contain vegetable oils, transparent oxide pigments, water repellents, mildewcide and solvent. Can be applied in direct sunlight and heat of day. If the first coat penetrates within 30 minutes a second coat can be applied for extra protection. When spraying - back-rolling or brushing will help even out appearance. If there are any puddles or glossy spots after 24 hours, remove with dry rag. 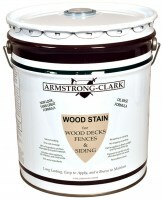 Armstrong-Clark Wood Deck Stain applies at about 150-200 feet per gallon. Actual coverage varies depending on wood porosity.